This Desktop Calendar is designed to effortlessly allow its user to apply Qi Men in their everyday lives. 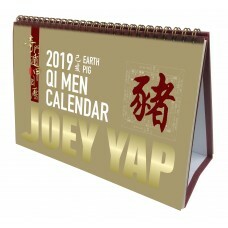 It is the perfect guide for home and office use which can be applied in many various forms of Qi Men Dun Jia applications under the Joey Yap system such as Feng Shui, Destiny Analysis, Spiritual Qi Men, Warcraft and Forecasting. Each day is marked with the Day Officer of the Day, Daily sitting directions for the Qi Men elements, Solar Day of the Month and its Daily Pillar. 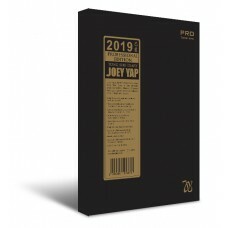 When coupled with any book from Joey Yap’s Qi Men series, you can fully maximize its full potential to bring out the best every day in 2019.